At Vestas the production of wind turbines started in 1979. With 83 GW of installed wind power capacity in more than 70 countries around the globe, Vestas has gained a market-leading position in wind energy. Alongside world-class turbine technology, the company also offers specific components as well as services for project developers related to the construction, installation and maintenance of wind farms. Vestas started the construction of this blade factory in Daimiel, Spain in 2007. By 2008 the factory was already operational and had created 500 direct jobs in Daimiel. Since then, approximately 6,000 blades have been produced at the Vestas factory. In 2015 Vestas extended the production capacity to include turbine blades for newer turbine models. This meant more jobs, with Vestas doubling the number of direct posts on site from 500 to 950. New technologies also required additional training for the workers, with a budget for training and development amounting to around €700,000. Approximately 1,500 blades of the new model have been produced since then. The factory initially served the domestic market as well as international markets. However, with the stagnation of the Spanish wind energy market over recent years, the factory currently exports 100% of its production. Vestas has been an important contributor to the region’s economy. The economic crisis over recent years has left Spain with double digit unemployment rates, in particular amongst the young. Apart from the professionals that the factory employs directly on site, 1,000 more jobs have been created indirectly in related industries and economic sectors as a result of the blade factory. 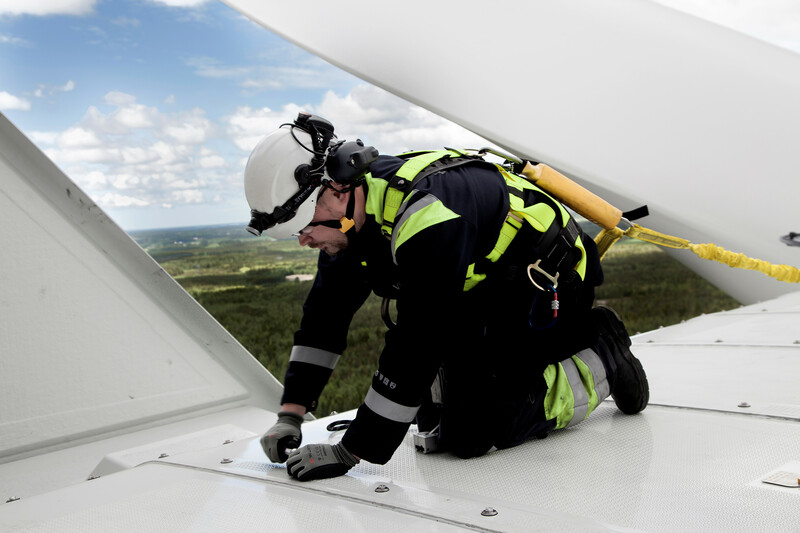 In addition to the investment on site and the improved road infrastructure surrounding the factory, Vestas spends on average €0.5m on training and education for its employees, with safety of equipment and processes being the top priorities.